The 5th HB Of June was released today. 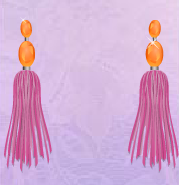 Tassle Earrings by Vivienne Westwood. What do you think about the earrings?